"What To Expect In "Star Wars: The Force Awakens"
The Force Awakens is a continuation from the 1983 film Starwars: The Return of the Jedi, some thirty years later! however, the last Starwars film , Revenge of the Silth, was in 2005, and fans have been waiting for a continuation for some time now. The trailer for Episode VII debuted last week and has some interesting teases and theories of what is to come. Everything that has happened in the previous six films are legends to those, it is as though not too many people believed it happened, though it did, they are viewed as tall tales. The villain in the trailer is Kylo Ren (played by Adam Driver) and it seems as though he has a connection or a bond with Darth Vader, as his mask appears for a brief second, so this could mean that Kylo Ren could possibly be a clone of Vader’s of some sort. Also, Kylo Ren as well as Finn (played by John Boyega) are the only ones in the trailer that appear with lightsabers and they face off each other, for what reason, it is not known yet. Characters from the original three films, (episodes IV, V, VII), such as Chewbaca (played by Peter Mayhew), Han Solo (played by Harrison Ford), and an appearance of Leia (played by Carrie Fisher), are shown in the film, which really excites fans as everything is coming together. It is known that Han and Leia have a child, though it is still not known yet as to who their child is and there is some speculation that Rey (played by Daisy Ridley) could possibly be their child. Lastly, where is Luke Skywalker? he did not make any appearance in the trailers, though the actor Mark Hamill is definitely on board for the film. There are theories that the robotic hand that touches R2D2 by the fire could possibly be Luke, but nothing is confirmed as the character is hooded and there was no sign of Luke. It is rumored that he was like a hermit, in exile more like Yoda over Obi-Wan. However, it would be nice to know where Luke is and if they’e going to reveal that information . There are no original Jedi’s shown in the trailer, only Finn and Kylo Ren with lightsabers, so there is the wonder of if there will be any appearances of Jedis. On a positive note, there are many starship battles to look forward to as well as the original cast members. Released December 18th in theatres. Star Wars 7: Leaked Kylo Ren dialogue reveals Luke Skywalker’s fate in The Force Awakens? 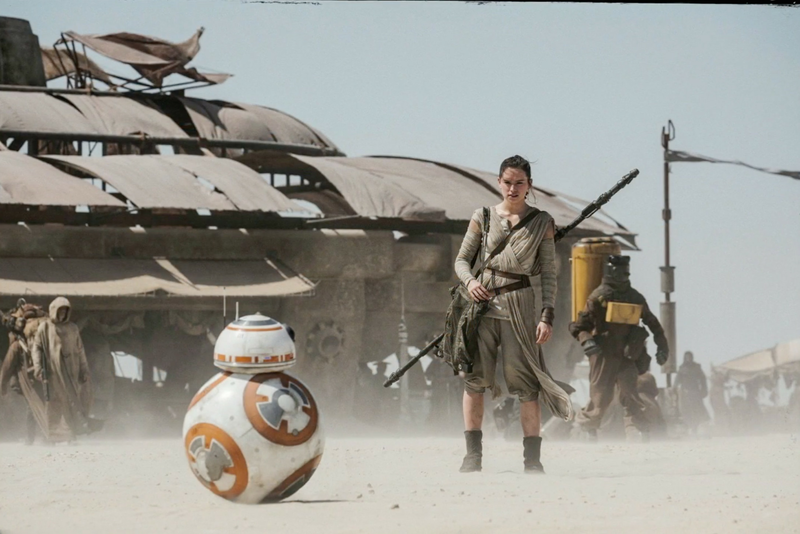 Share the post "“What To Expect In “Star Wars: The Force Awakens”"